One of our most anticipated movies coming up this fall is Martin Scorsese's latest - The Wolf of Wall Street, starring Leonardo DiCaprio as real-life stockbroker Jordan ­Belfort who suckered investors out of $100 million in the 90s before being arrested. 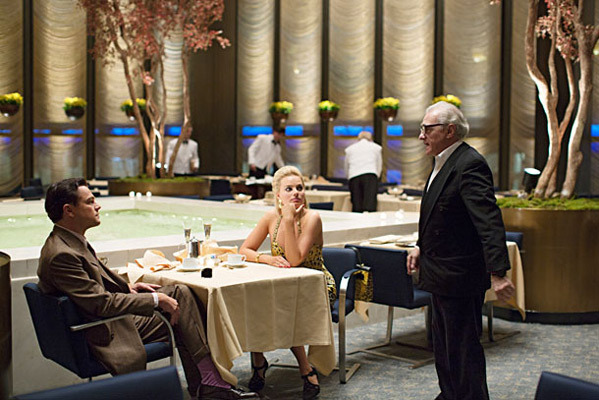 We've already seen a trailer and it looks wild, but still has Scorsese's nuanced touch. 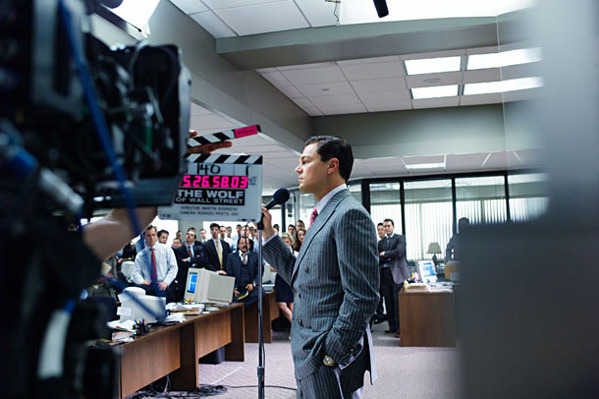 As fans of the filmmaking process, we must share great behind-the-scenes photos and a small batch from Wolf of Wall Street have hit the web accompanying a profile on the film found on Vulture. It's a great piece breaking down the story of Belfort, who consulted on the film, and how it came together. "[This has the same] kind of brutal honesty that got Marty into making movies like Mean Streets." 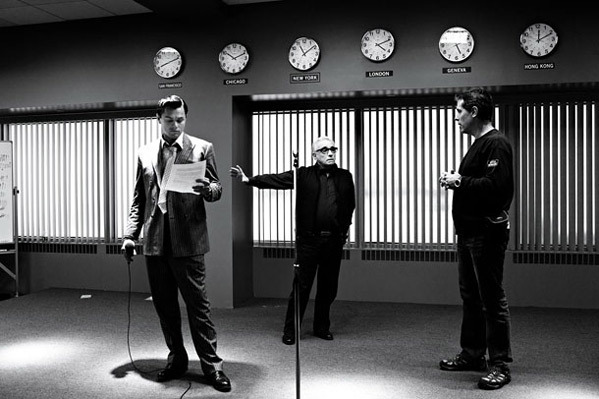 DiCaprio on why Scorsese was the one for this: "When Marty couldn’t do it the first time, I set it up with a few other directors, but I never felt comfortable pulling the trigger. I was fixated on him. There wasn’t anybody else who could bring the rawness and toughness, the music, and particularly the humor required to convey the excitement of these young punks — these robber barons — taking on the Wall Street system." The Wolf of Wall Street is directed by legendary Oscar winning filmmaker Martin Scorsese, of everything from Taxi Driver to Raging Bull to Cape Fear to Goodfellas to Casino to Aviator to Departed to Shutter Island and Hugo recently. The screenplay is by Terence Winter (Get Rich or Die Tryin', Brooklyn Rules, "The Sopranos", "Boardwalk Empire"), based on Jordan Belfort's book. Paramount is bringing Scorsese's The Wolf of Wall Street to theaters everywhere starting November 15th later this fall. See the first trailer. I was expecting a more serious, gritty tone (in reference to The Departed) but, after the trailer, I'm still interested. Very interested. I like the idea of Jonah Hill being more than a verbal punching bag. Oh yeah! superb, they totaly changed my view on media and photos in general.